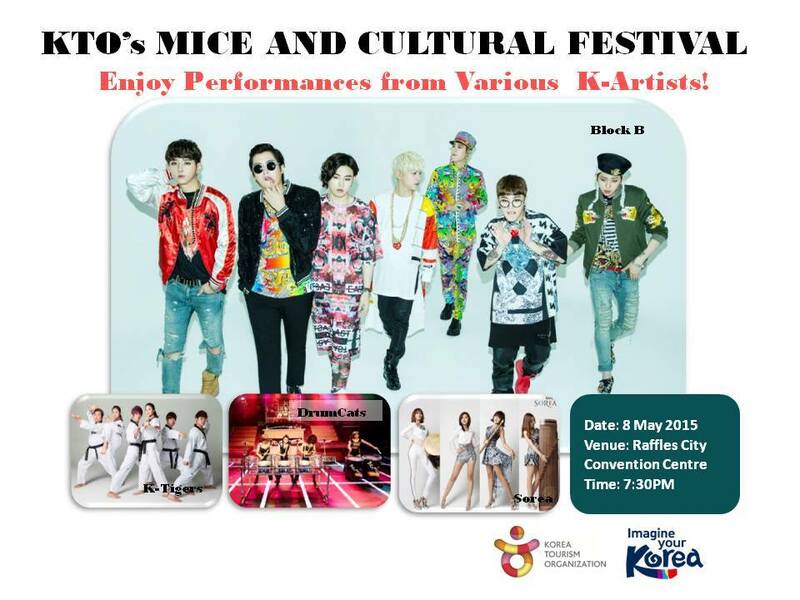 This May Korea Tourism Organization Singapore will host the very first Korea MICE and Culture Festival on 8 May 2015 at the Raffles City Convention Centre, Fairmont Ballroom & Foyer. 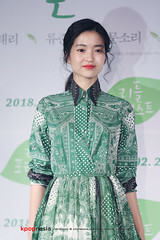 Aim to promote Korea as an exciting travel destination, the Korea MICE and Culture Festival 2015 will have exhibitors that provide information on the places of interest of popular Korea provinces namely, Gyeonggi-do and Jeju-do as well as fun activities for participants to join. 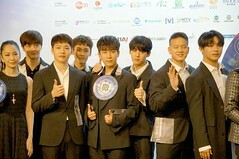 What’s more, the event will closed on a high with exciting performances from K-pop acts such as Block B, K-Tigers, Drum Cat and Sorea. 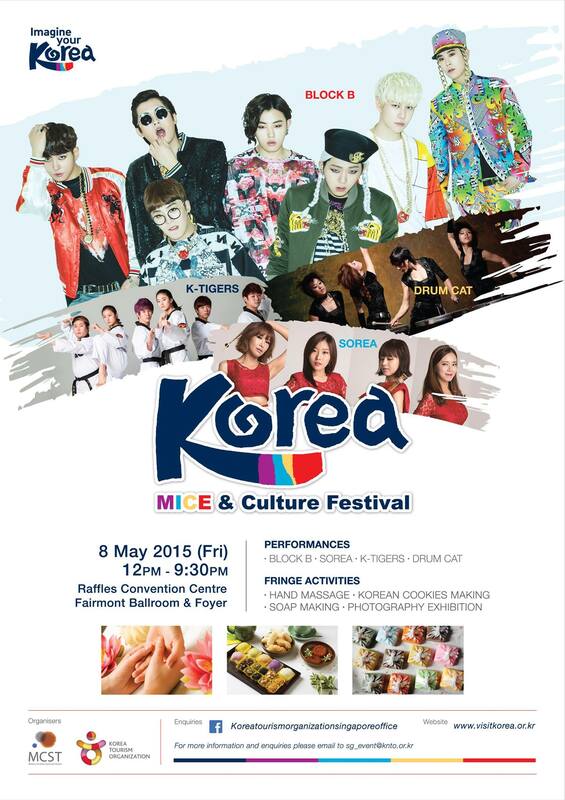 The Korea Culture Information and Activities happening at the Foyer is an event not to be missed. It is open to the public from 12PM to 6PM on 8 May 2015. While the K-performance is an exclusive invite-only event. KTO Singapore will be running various ticket giveaways contests very soon, so for those who wish to attend the one night only performance, stay tune! Stay tuned to @Korea Tourism Organization (Singapore) for more information on how you can win exclusive passes to attend this event!